When I was young, I had a chance to come back my hometown and one friend invited me one Best Vietnamese Food in Lao Bao which is Grilled buffalo meat with Troong leaf. It is indispensable dish among the border of Vietnam and Laos. 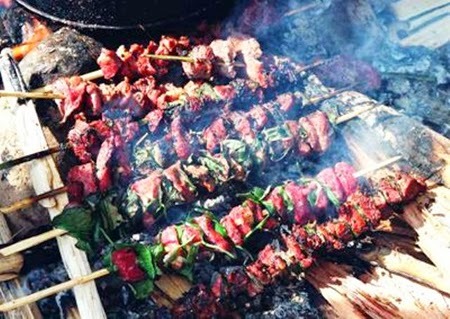 The buffalo’s meat is not strange, but enjoying the grilled buffalo with Troong leaf is unique. At the Vietnamese’s village, the buffalo is known as the basic requirement for earning money. In the past, there were only the rich people and on the special day like village festival could slash the buffalo and pig to eat. 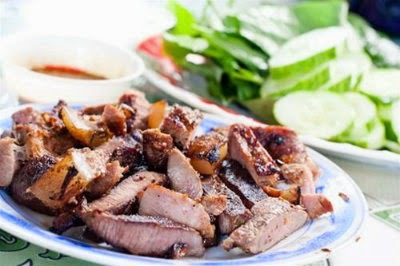 However, the buffalo’s meat now is known as the specialty food (The Best Vietnamese Food in Lao Bao). It is an interesting amazing thing to the diners. I was interest at the first sight when seeing the grilled buffalo’s dish with Troong leaf on the table. The smell was really good and the color was so exciting. The buffalo meat there was from the South Laos, and they usually choosing the baby buffalo. Therefore, the meat is tender, juicy and plump. The meats are sliced firstly into pieces and then marinated the ingredients. Next, they are put on the hot coal kitchen. When the meats turn to the brown color, and you hear sizzling sound, it is time for you to enjoy this Best Vietnamese Food. 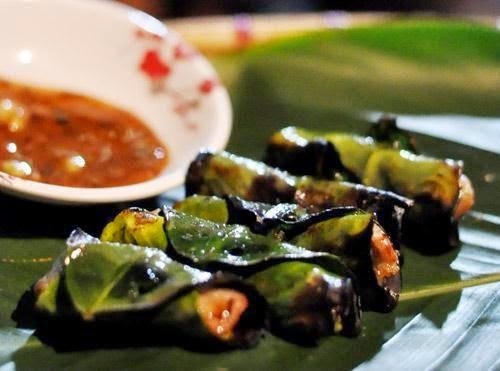 It could be a miss thing, if you do not eat them with Troong leaf. Troong leaf is wild lead which is live in the QuangTri’s forest. It has a distinguish aroma and spicy smell. In the Lao Bao’s town, the grilled buffalo with Troong leaf is Best Vietnamese Food, but the diners can enjoy more traditional Vietnamese food there. You would not forget the taste of food there, if come there one time. Do not miss any chance to taste it when you come Lao Bao Town. Good Luc for your Trip.